In the midst of today’s highly-anticipated House Science Committee hearing on climate science and the scientific method, right around the time that Congressman Dana Rohrabacher thundered that certain witnesses (the one mainstream climate scientist in the room, specifically) should be ashamed of themselves for daring to criticize the committee’s chairman, the livestream gave out. Part of me prayed it would stay down for good, and somehow take the whole committee with it. The House Committee on Science, Space, and Technology fell off the flat Earth’s edge into a profoundly anti-science abyss years ago. Hearings like this one crop up every now and then, often with the same cadre of questionably-credentialed witnesses offering up the same tired fallacies that serve to cast doubt on the overwhelming scientific consensus that climate change is real and human-caused. Today, instead of any sort of reasonable discussion of climate impacts and potential solutions, the hearing mainly entailed a litany of untruths and long-debunked conspiracy theories, along with some incredibly awkward name-calling from the witnesses. This was political theater at its worst; actual science barely made an appearance. Presiding over this shitstorm was, of course, Texas Republican Lamar Smith, who has been Chair of the committee since Republicans took the House in 2012. No one would claim that Smith held back when it came to climate change while President Obama was in office, but having fellow climate deniers installed at the White House seems to have given him an extra bit of joie de vivre. Nothing like some honest-to-god momentum toward planetary destruction to add a little spring to one’s step! Speaking of momentum, the hearing came a day after President Trump signed an executive order aimed at rolling back progress the Obama administration made on climate, ostensibly to bring back coal jobs (not happening, ever), and a couple of weeks after a “skinny budget” from the White House suggested cutting just about everything science-related you can think of, and climate-related programs in particular. The hearing featured one widely-respected climate scientist—Michael Mann, professor of atmospheric science at Penn State—and three Republican invitees whose views on climate change, if we’re being charitable, lie somewhat outside mainstream scientific consensus: Judith Curry, professor emeritus at Georgia Tech; John Christy, professor and director of the Earth System Science Center at the University of Alabama at Huntsville; and Roger Pielke Jr., professor of environmental studies at the University of Colorado. The witnesses, along with some of the Committee members, repeated a number of claims that the GOP has clung to for decades now: The climate models don’t match reality (yes they do); extreme weather events, like hurricanes and droughts, are in no way linked to climate change (yes they are); there was a consensus in the 1970s that the world was cooling (not even close to true); and so on. Multiple people even brought up the ClimateGate “scandal,” involving hacked emails and accusations of fiddling with data, which was investigated to death with no evidence of wrongdoing years ago. In other words, not knowing everything is not a justification for doing nothing. But that’s just what opponents of action seize on all the time—uncertainty, to them, means nothing is certain. “Before we impose costly government regulations, we should evaluate scientific uncertainties and ascertain the extent to which they make it difficult to quantify humans’ contribution to climate change,” Smith said in his opening statement, ignoring the vast piles of evidence on that very topic. 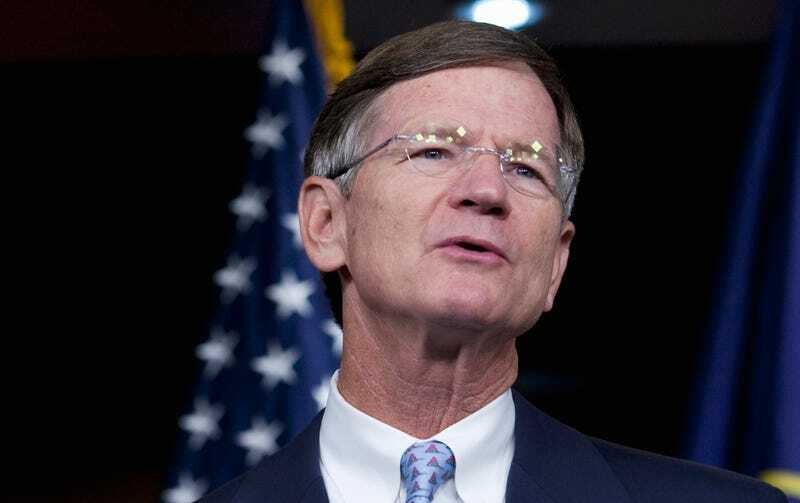 Smith calls hearings like this in an attempt to discredit climate science in general, to question the consensus that human carbon emissions are overwhelmingly responsible for global warming, and to repeatedly inject false talking points into the public record and public consciousness. He makes us write stories like this, where we are forced to entertain the unhinged rantings of the Dana Rohrabachers of the world. More mud was slung, more science misrepresented, more tax dollars spent, until Smith mercifully put the hearing out of its misery, having accomplished nothing except raising my blood pressure. This is all so stupid. Dave Levitan is a journalist, and author of the book “Not A Scientist: How politicians mistake, misrepresent, and utterly mangle science.” Find him on Twitter and at his website.